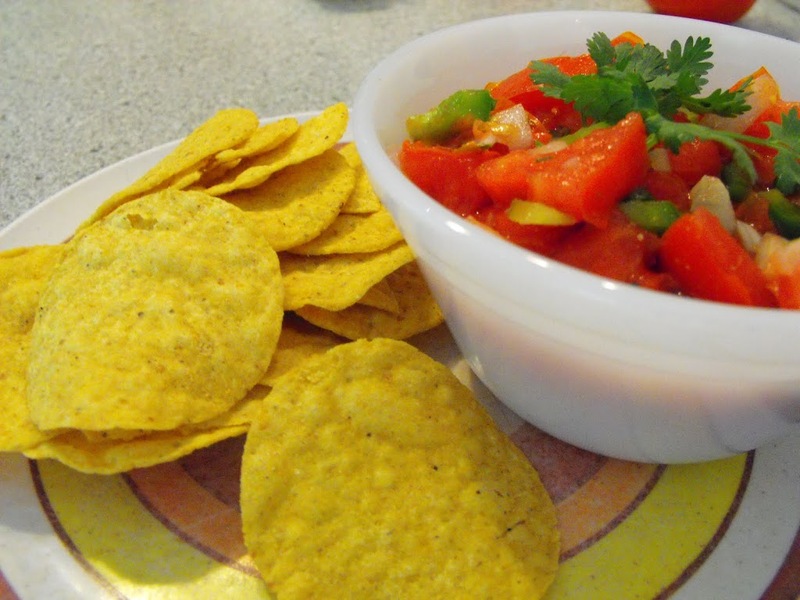 Fresh garden salsa, taste great with your favorite chips. Red ripe tomatoes always make the best salsa. The tomatoes in our garden are finally ripening. I have been canning up a storm, getting ready for the winter months that will soon be upon us. We were hungry for some fresh salsa. I like to can salsa for the winter months, but some fresh just sounded like it would hit the spot. I have a recipe for fresh salsa that my sister gave to me, which is just to cut up the vegetable you want in the salsa and add a hot sauce to it. The salsa turns out good this way, but I wanted to change it up a little. So I decide to experiment a little bit on my own. 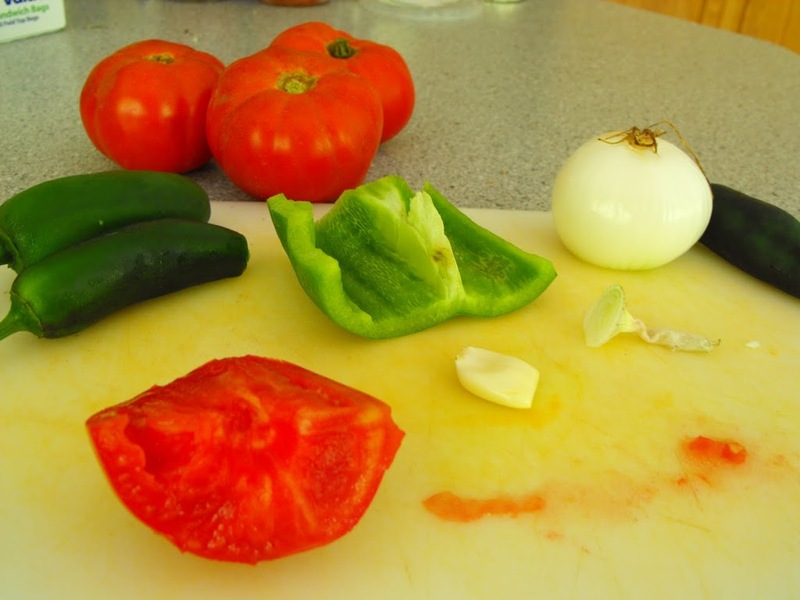 I gather my tomatoes, onions, peppers… and started chopping away. I love the colors of the fresh salsa, they are so vibrant, so eye appealing.The salsa didn’t turn out too spicy, it was more on the mild side. But we didn’t add a lot of the jalapenos, so if you like hot spicy salsa I would recommend that you add more of the hot peppers. My lovely daughter Krista was the photographer for this post. I think she did an amazing job! Thank you Krista. 1. Chop vegetables and cilantro into desired size chunks. Mince the cloves of garlic. Mix all the vegetables along with the garlic into a medium size bowl. 2. In a separate bowl mix the vinegar, olive oil, cumin, oregano, ground red pepper, and sugar. Once this is mixed pour over the vegetables and mix all together. Season with salt and black pepper to taste. I’d love a bowl of this salsa with some tortilla chips tonight. It sounds delicious. I like that it doesn’t have a ton of cilantro in it. Fresh homemade salsa is the best! 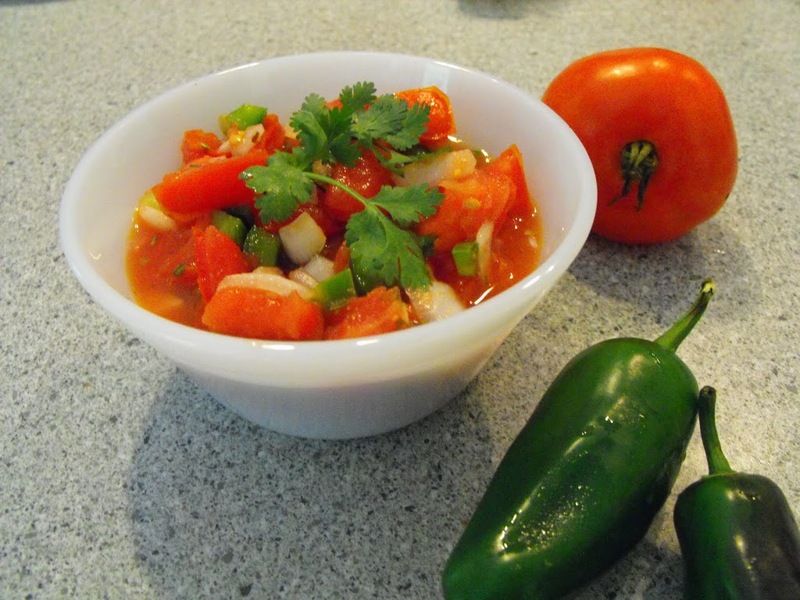 Your fresh salsa looks delicious! Nothing beats making it yourself.